Revlon has been a household name in hair and beauty for decades, and the Revlon Professional brand is no exception in promoting cutting edge colour and care Revlon Products for hairdressing professionals. One of the most popular Revlon Products from the Revlon Professional brand is Uniq One, a luxurious hair treatment offering protection, hydration and high shine. 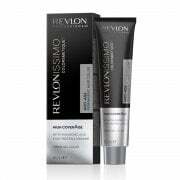 All Revlon Products, from Revlonissimo permanent colour to the Equave range of detangling conditioner sprays, are designed to deliver the best quality solutions for salon-level services.